After all I learned about plastic and the toxins found in clothes and even children toys, I make a deliberate effort to ensure that any gifts I am giving to children are safe and toxin-free. In a bid to help you make a lovely handmade gift to a little friend of yours, today I have teamed with Melissa of Melissa Love to give you a chance to win a custom doll from her magical shop. 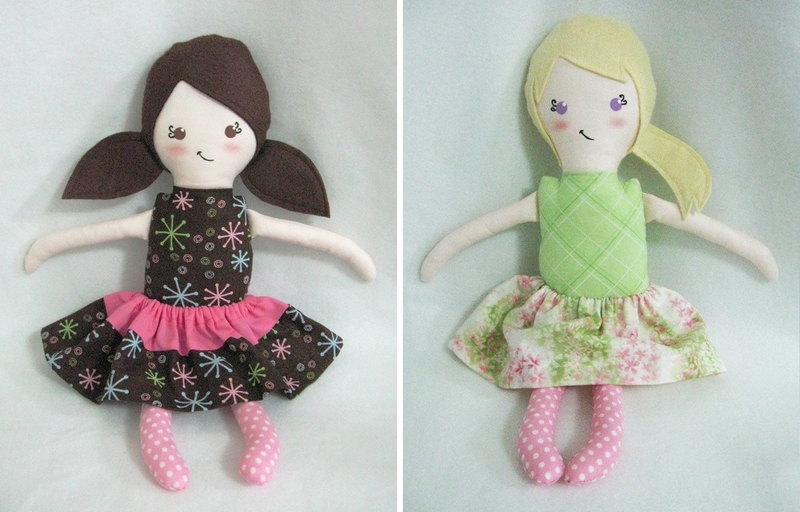 and Melissa will make it for you - a unique doll that will suit your requirements to the last stitch! The giveaway ends on January 25th, 2012 and is open to residents of the United States and Canada. There are 2 mandatory entries and 5 additional ones. To be eligible to win you need to fill out both mandatory entries and as many as as you like from the additional ones. The winner will be emailed and announced here shortly after the end of the giveaway. What lovely dolls! Thank you for this great giveaway! Those dolls are beyond adorable, I love their eyes. 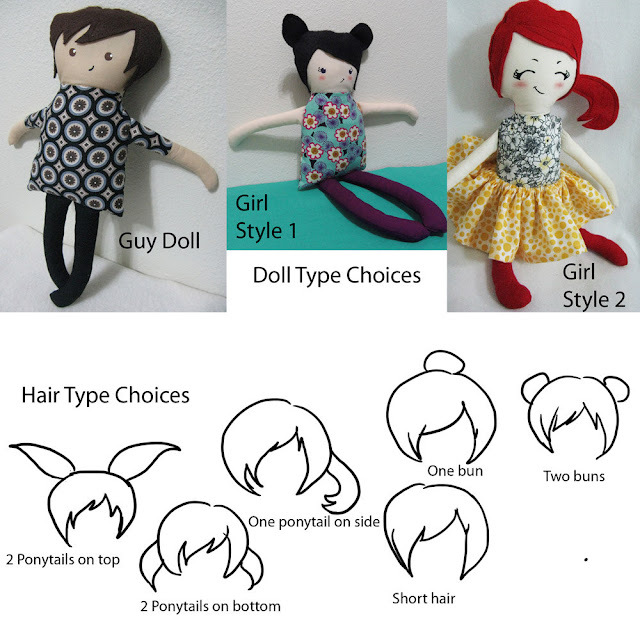 And so much fun to pick all of your own doll characteristics, some little girl (or little man) is going to be very happy! Agreed, these are beautiful. Thanks! These are so pretty. I would love to give one to my daughter when we get pregnant! Oh my goodness, those are so cute!! Such an adorable toy and a perfect gift. :) Good luck, everyone!! My favorite doll is the Cupcake doll! They are all so cute though. This would be perfect for my daughter! I love them all but Cupcake is my fave! I love the Cupcake Doll the most. Ginger and Cupcake are my favorites. I like Cupcake the best! Ginger is my favorite, but the custom dolls are the absolute best!!!! I like Belinda the best. She looks like she might be a Tomboy! I liked Ginger the best... too cute! Cupcake and Minty are my favorites!! I like the cupcake doll.